Whether you are a homeowner or you are searching for a home, the last thing you want to find is mold in the home. After all, we have all heard horror stories about killer molds that are impossible to remove. The good news is that this isn't the case with all molds and some can be easily removed and prevented. Still, in order to keep your home safe or to ensure you are purchasing a healthy home, it is important to learn more about home molds. Since molds digest organic matter and produce spores in order to reproduce, they can be found in nearly every type of environment - and can be just as problematic regardless of whether found in an Indianapolis or Austin Texas home. Nonetheless, molds are the happiest in a warm, humid environment. Therefore, they are most commonly found in basements, bathrooms and other areas where humidity is high, or where excess moisture or water has accumulated and where warm moist air condenses on a cooler surface. Depending upon the type of mold, it may grow on wallpaper, wood, paints, ceiling tiles, sheet rock, carpet and insulation. 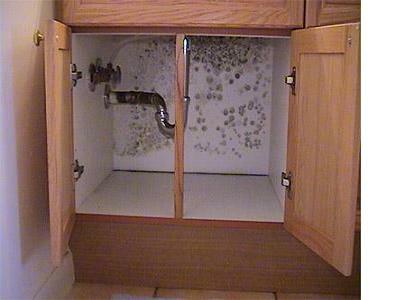 Regardless of where it is found, the reality is that there is no way to completely remove all mold spores from a home. Rather, the key is to control moisture and to control mold growth. -- Repair leaking roofs, plumbing fixtures and any other water leaks. -- Provide warm air to all parts of the home by increasing air circulation and ventilation. -- Install and use exhaust fans in kitchens, bathrooms and laundry rooms. -- Ventilate attics and crawl spaces. -- Clean and dry any materials that have become water damaged within 24 to 48 hours after the damage occurred. -- Vacuum and clean the home on a regular basis. If mold has already developed, you can clean small areas with special mold and mildew removal products. Be sure to protect yourself with gloves, goggles and breathing protection. Then, seal the area off, cover heat registers and ducts, cover your furniture and open your windows before cleaning. If a large area has become affected by mold, it is better to leave the cleaning to a professional. Not only is this the safer option for your personal health, but it will also increase the chances of getting the mold properly removed. About the Author - Eric Bramlett is co-owner and broker of One Source Realty, a boutique downtown Austin condos firm, and specializes in Steiner Ranch Austin homes for sale. Thanks for the helpful tips. I've been fortunate to catch a potential problem (a leak) before it spread and became a big issue. But in many cases, by the time mold is discovered, it's already spread behind walls and other places where it can't be seen. In our case, I had the situation checked by a professional, so I'd also recommend doing that just to be certain, and safe. The above content article is very informative & helpful. I genuinely enjoyed reading your blog and points that you simply expressed. I feel strongly about it and got information more on this subject. I am glad to catch suggestion from your article, I feel strongly about it and love learning more on this subject. If possible, as you gain knowledge, would you mind updating your blog with extra information? I absolutely love your post about the importance of how to identify mold signs in your home. Over the years people are getting more and more aware to the dangers of Mold, especially the toxic Black Mold, that in addition to serious medical problems it can lead in many cases to loss of life. Not all of our house but in fact a room is severely damaged by mold and it isn't because of water leakage. It is because of rains and the roof over seems to have a blockage that don't let the water go into pipe. What can we do to fix the mold we have now? how about adding sheets in the roof? Great post! this article is worth sharing. Homeowners have to look at for a number of things, but something one should keep an eye out for is poria incrassata. Poria is a form of dry rot which is rather menacing, though the rotten thing is that once you've spotted it, you're in deep trouble. Read more here.